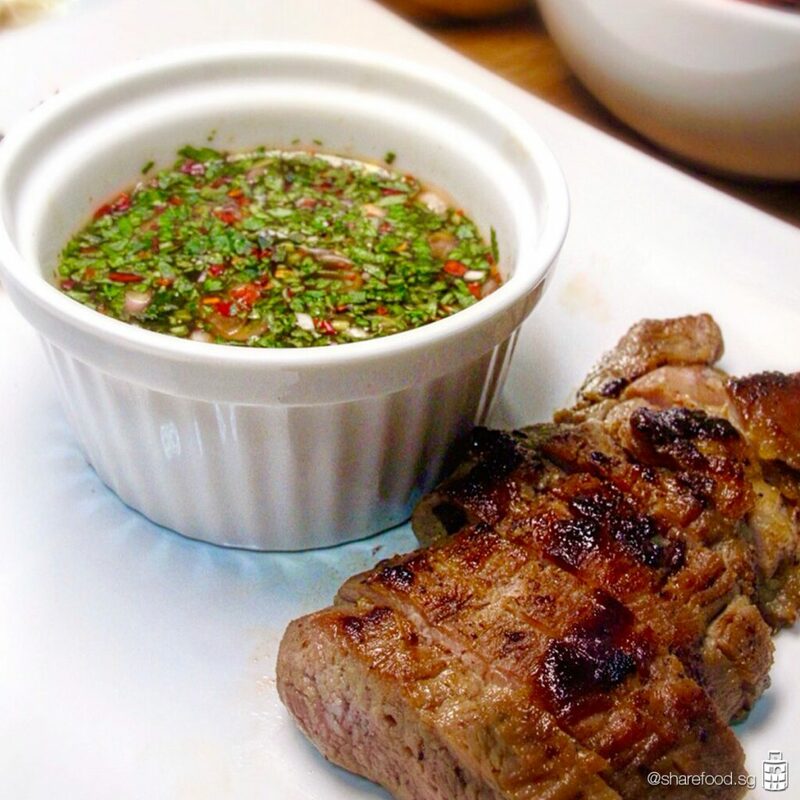 "姑姑，the grilled pork neck is delicious!" exclaimed my niece. She is 7 year-old and is extremely picky eater, but I got a vote of confidence from her! 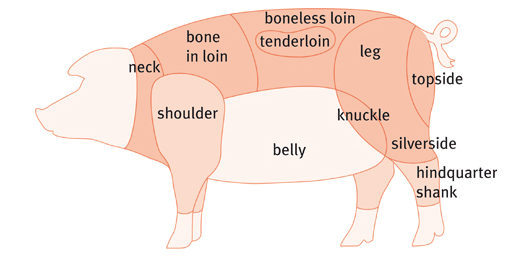 Pork neck (as you can see from the image below) is tender and flavorful when cooked as it has the right amount of lean meat, muscle and fats. It's perfect even for someone who has braces like me! The beauty of the pork neck is that it retains moisture very well and hence it is great for slow cooking, roasting and grilling. I started my wet market shopping at 7am for my fresh meat fix. As a novice cook, I blatantly ordered 猪颈项 (direct translation of pork neck) from the butcher at Woodlands wet market. She paused and laughed, and taught me that this part of the meat is called 五花肉 that is near the neck area. It was sold at $14.50 per kg. 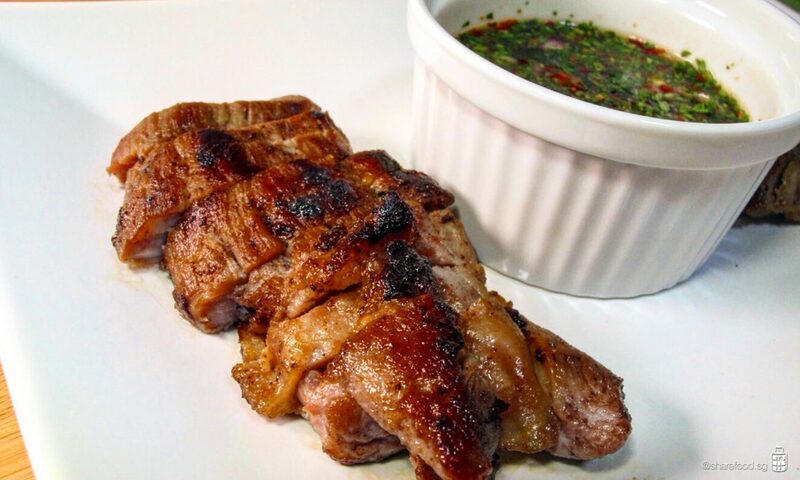 Embarrassingly funny but I have learnt something new today 🙂 Here the Thai Grilled Pork Neck recipe to try it out with your family! 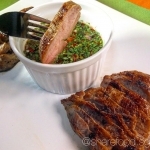 Pork neck is tender and flavorful when cooked as it has the right amount of lean meat, muscle and fats. The beauty of the pork neck is that it retains moisture very well and hence it is great for slow cooking, roasting and grilling. 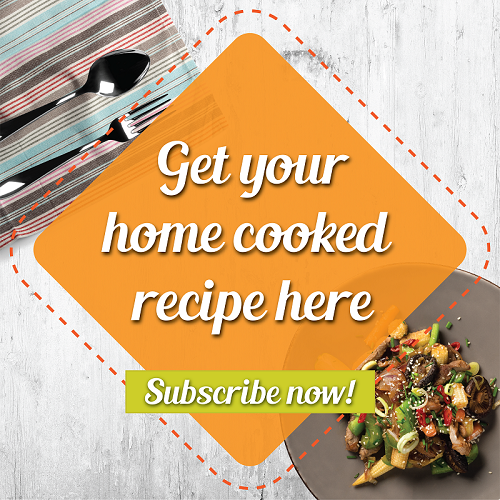 Marinate in re-sealable plastic bags which allows the meat to be evenly coated with the marinade, giving an all-round flavour to the meat.